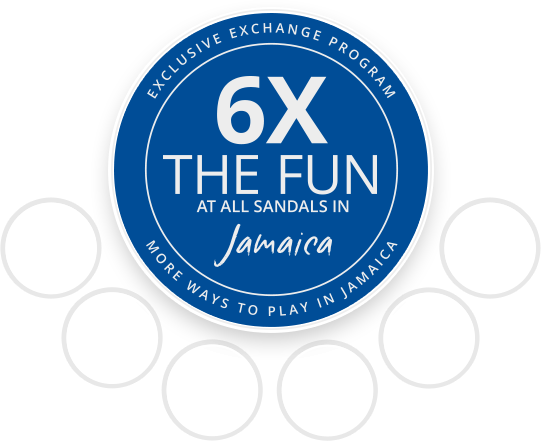 With our exclusive Sandals Exchange Program in Jamaica, your dining options expand to 52 restaurants. 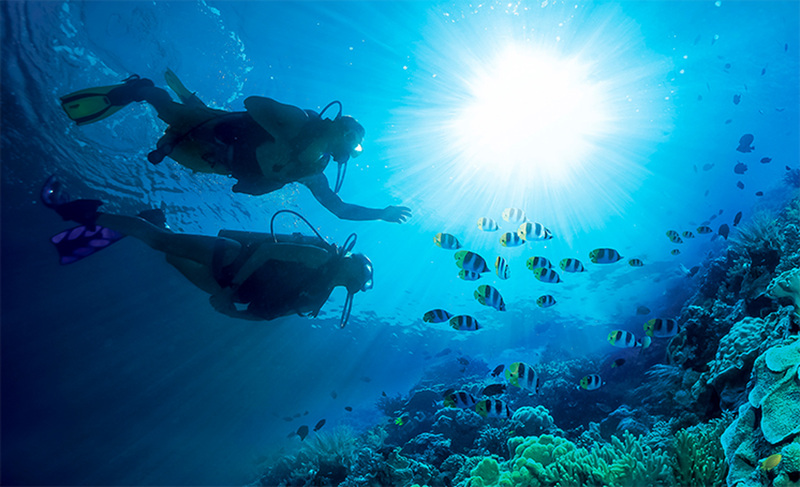 You can extend your diving experiences to exotic underwater playgrounds at five additional resorts and enjoy the vibrant entertainment that's ever‑changing from night to night at all six resorts in Jamaica. 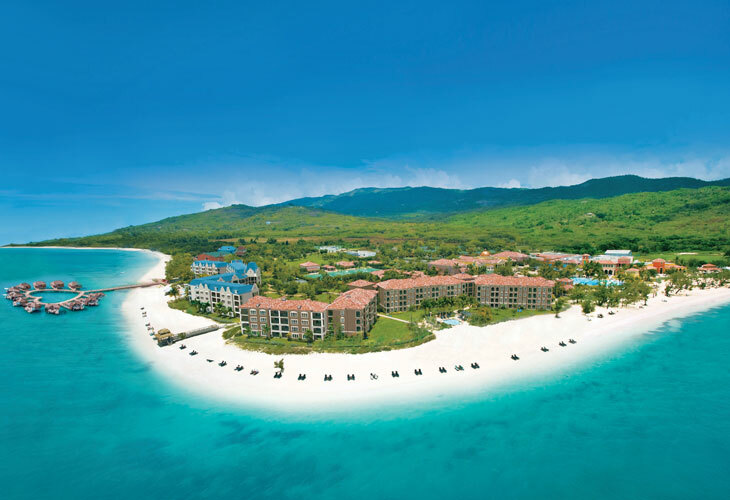 Plus, complimentary round-trip transfers between the resorts at Montego Bay are part of the Sandals Luxury Included® difference. Two distinct resort experiences surrounded by natural Jamaica. An all-beachfront oasis amidsta 500-acre nature preserve. 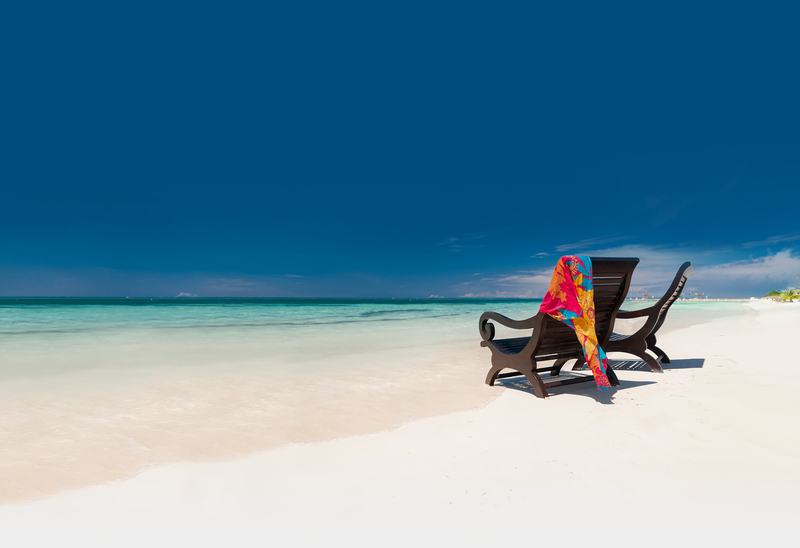 Take advantage of the exclusive opportunity to "Dine Around" different Sandals resorts in Jamaica. Expand your dining options to a grand total of 34 bars and 52 different dining experiences. 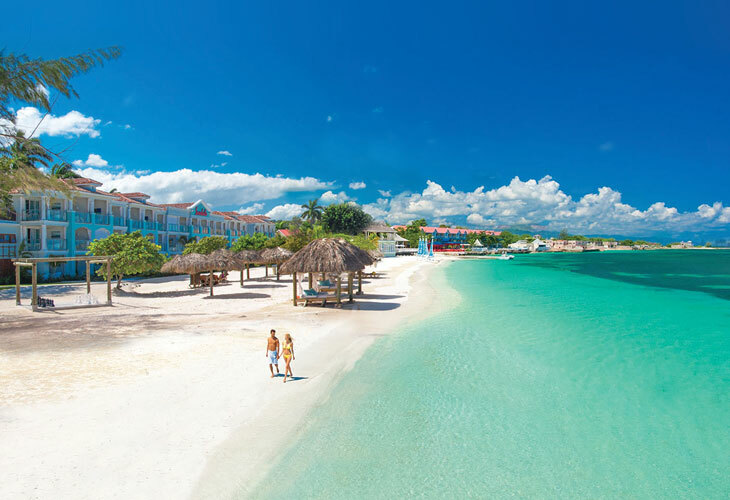 The beaches in Jamaica are truly spectacular, from secluded private coves to Negril’s world-renowned seven-mile stretch of powdery white sand, all looking out onto the ultra-clear, turquoise waters of the Caribbean. 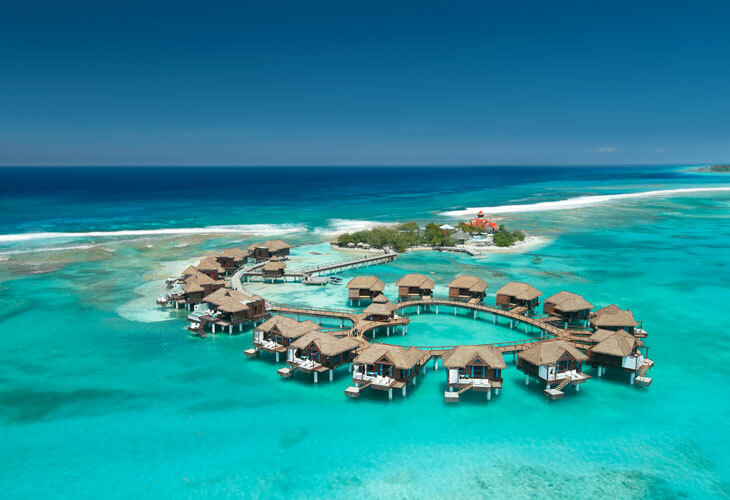 Our resorts are set on the leeward side of the island, where offshore reefs create the calmest waters for leisure swims and endless water sports. 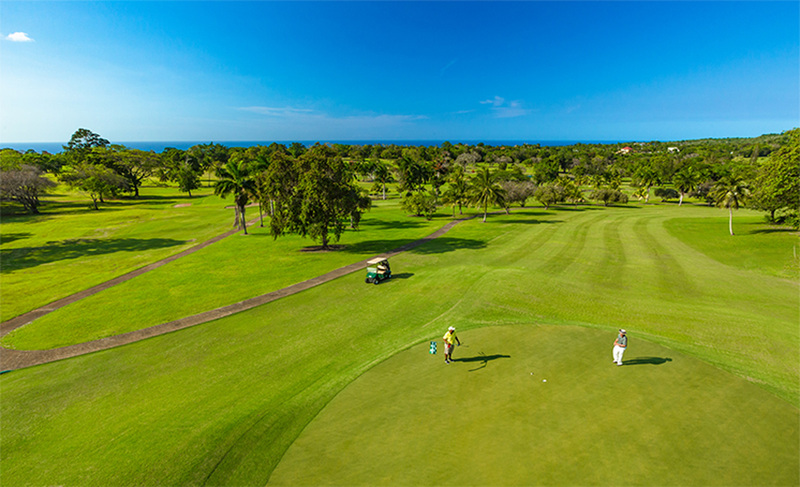 Jamaica’s lush landscape and awe-inspiring coastlines with sweeping views of the sea and mountains create a dramatic backdrop for the perfect golf vacation. 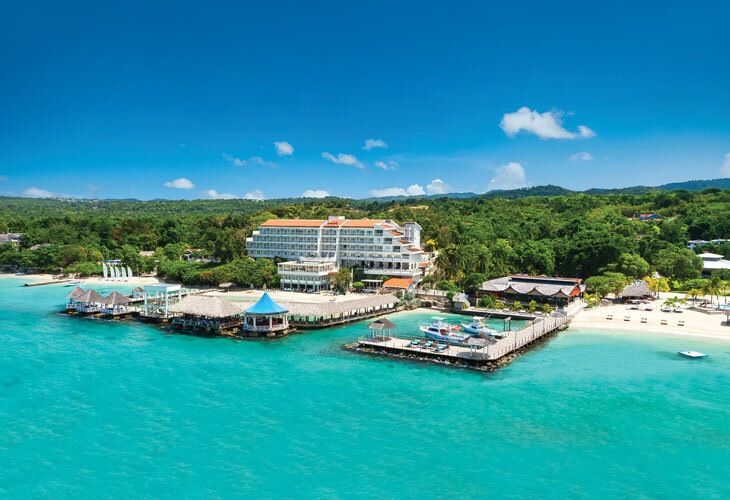 Featuring some of the finest golf destinations in the world, Jamaica is home to the Jamaica Golf & Country Club – Sandals 18-hole course that rises 700 feet above sea level in the verdant hills of Ocho Rios. 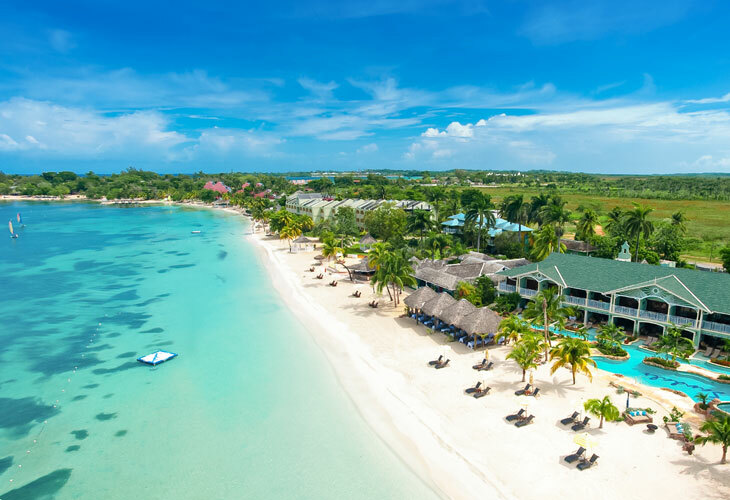 Jamaica is all about the water, and Sandals is all about making sure you indulge in as many water experiences as your heart desires. Pool hopping, dive-site hopping, sailboat hopping–it's all encouraged as you experience the diverse offerings across our resorts. A kaleidoscope of marine life and new friends to meet at every pool awaits. 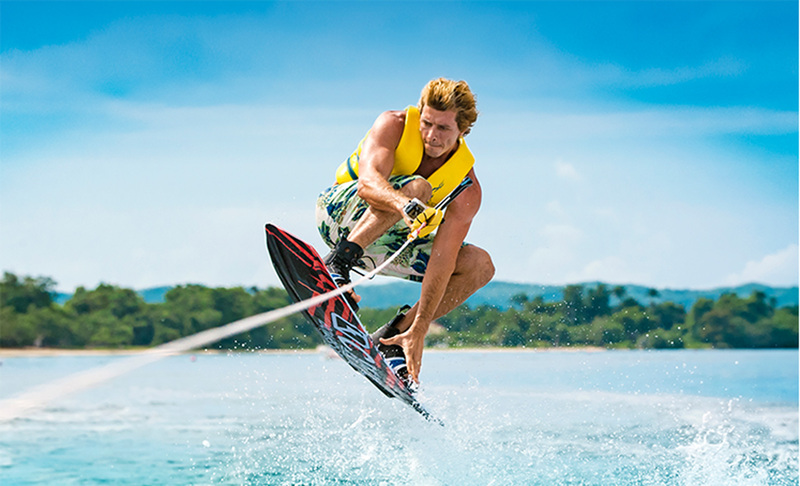 Every water sport imaginable is included along with top-of-the-line equipment and professional instruction. 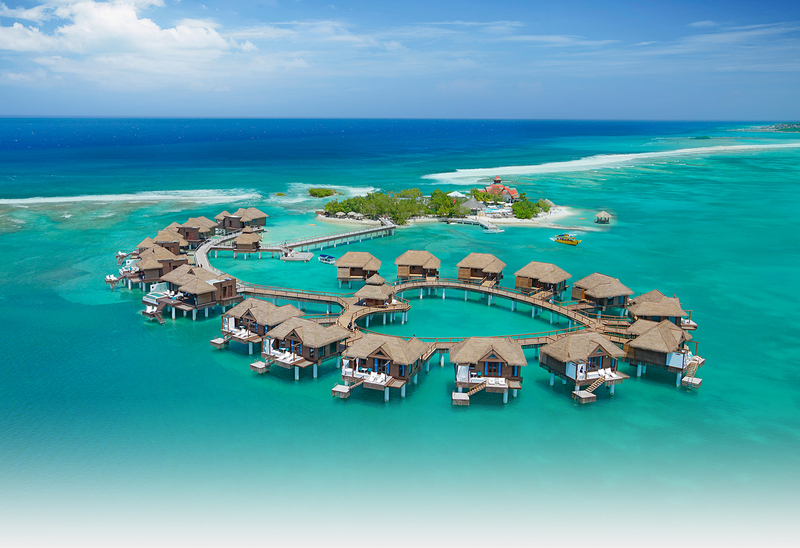 While other all-inclusive resorts claim to include all water sports, only Sandals includes a full range of motorized and non-motorized water sports. 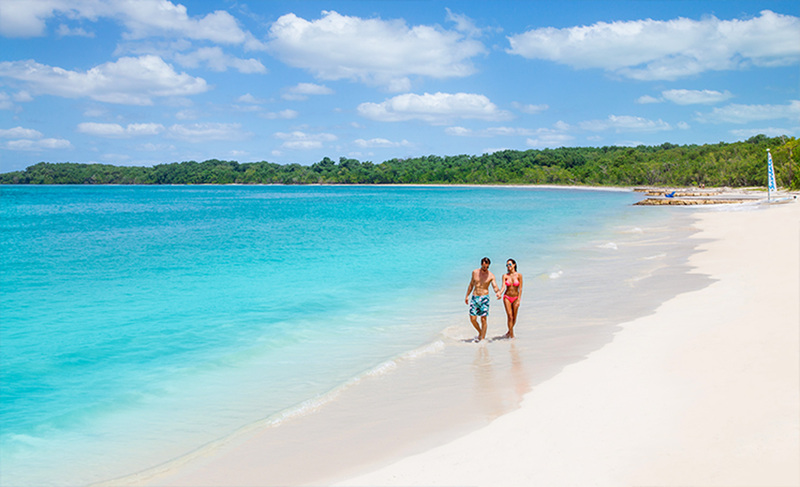 Jamaica is a wonderland of allure and stunning, natural beauty. From scenic cliffs and majestic waterfalls to pristine lagoons and bubbling hot springs, the region boasts plenty of things to do amid a diverse terrain. 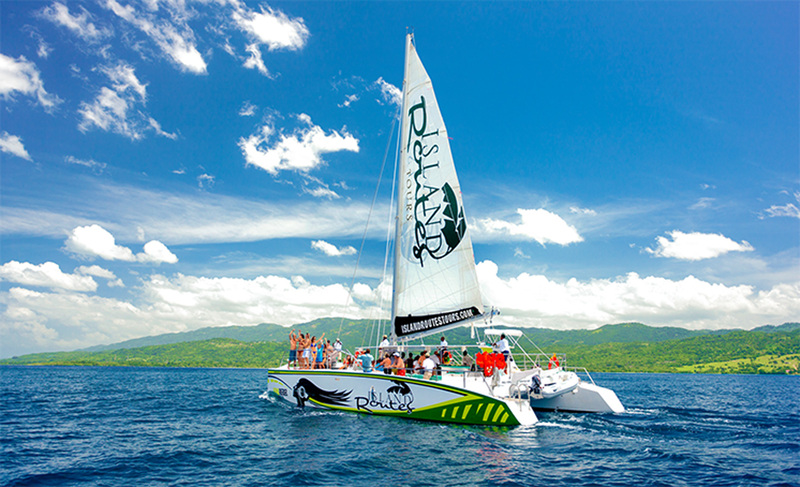 Jamaica offers tours and excursions that satisfy the whims of the most adventurous or the most laidback traveler. 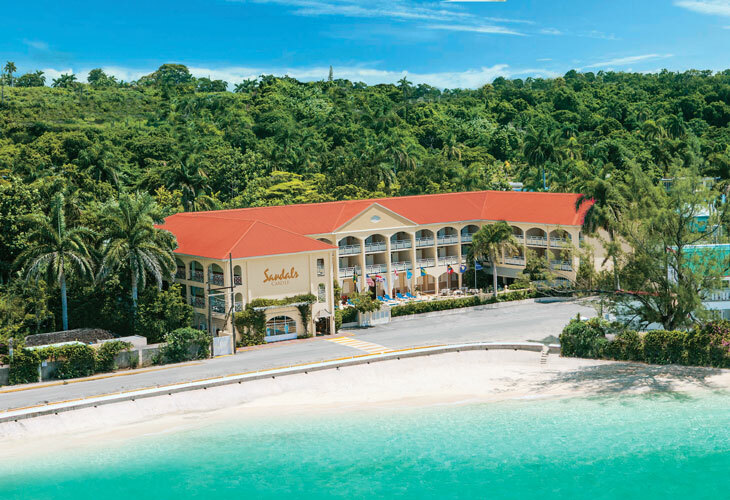 Prepare to be mesmerized and duly impressed by the many entertainment productions at the Sandals Resorts across Jamaica. 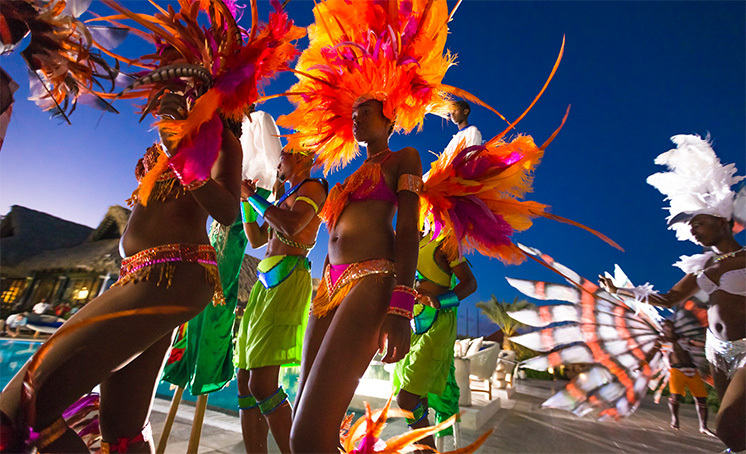 From fire dancers to the island's most talented Reggae groups, bonfire dances on the beach and poolside and pool table competitions, something exciting is always happening.